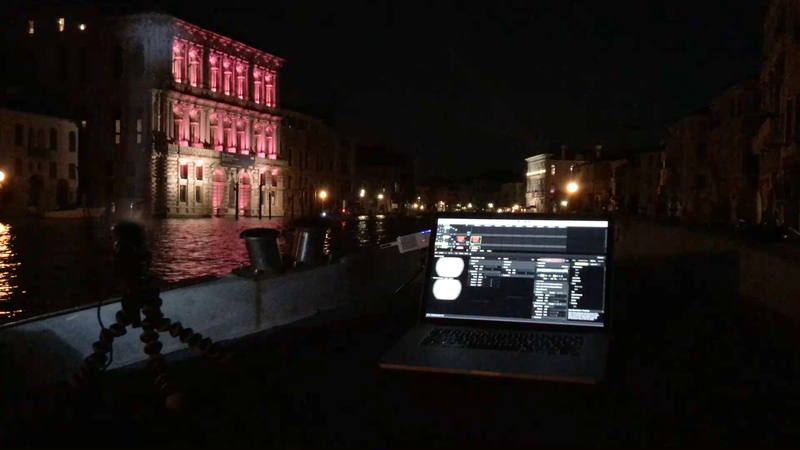 Copiousness of Learning was created and exhibited in 2016 as part of the events marking the 500 Year Anniversary of the Jewish Ghetto in Venice, Italy. The work takes its name from a passage in the Italian and Jewish poet Sara Copia Sullam’s “Manifesto”. Sara Copia Sullam was an important female poet and writer who lived in Venice in the late 16th and early 17th centuries, a time when Venice was a European center of Jewish culture and the printing industry. In 1671 she was accused of heresy by Baldassarre Bonifacio who had written that Copia Sullam denied the existence of the soul—a serious charge at the time of the Inquisition. In response Copia Sullam penned a Manifesto which was publish and survives to this day. Copiousness of Learning has two components that extend in opposite directions. The first is a video projection, which places into dialog passages from the Copia Sullam Manifesto and quotes from cognitive scientist Donald D. Hoffman’s work on the nature of consciousness. 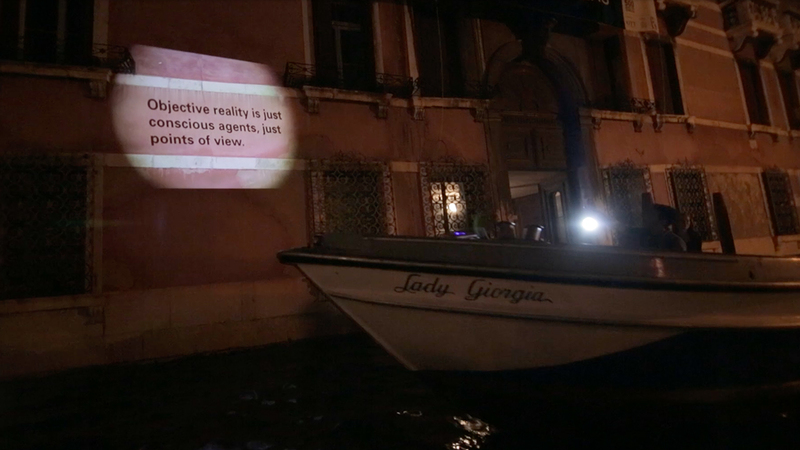 Text is contrasted by animated navigational maps a typology of 3D ships from Venice. While the video loops, a microprocessor-controlled high powered light beams Morse code in the opposite direction. 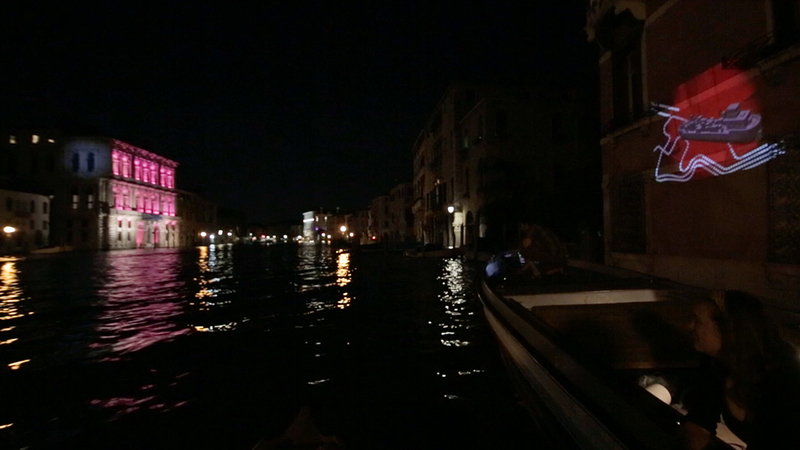 A light beams Morse code across the Grand Canal while simultaneously a video is projected upon the wall of the Palazzo Fontana. The coded message contains a passage from Sarra Copia Sulam’s Manifesto. To eliminate any uncertainty about my own opinion in this regard, it ought to be enough that I remained a Jew. Had I [not] believed, as you say, in the happiness of the other life and were I not afraid of forfeiting it, there would have been no lack of opportunities for me to improve my state by changing my law, a thing known to persons of much authority, who have insistently striven and attempted to do so. The video includes text by Donald D. Hoffman and prose by Sarra Copia Sulam.